Thnks for posting up. The gifs kinda slowed down the sequence of the MV & the 1st one made me realize tt there’s a crying scene. COOL~ Our diva is really workin it. 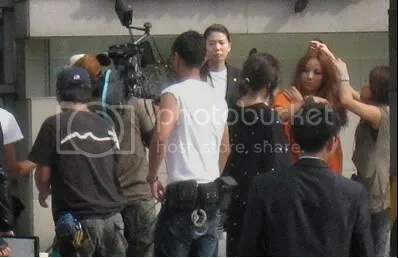 u knw ~ we shld applaud for the crew on/off set as well. They r the motors behind the wheels too. 🙂 *claps claps* And…yea, i agree hyolee shld make a comeback in acting sometime after singing. she probably misses acting too. Of course there’s been improvements but there’s still more improvements to b made. Good lucks ! !